I am a Registered Dietician with a BSc Medical (Honours) in Nutrition and Dietetics and a BSc (Honours) Psychology. 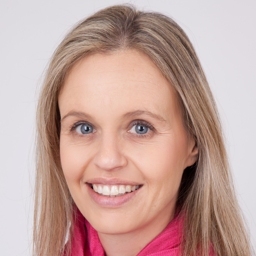 I have a successful private practice in Claremont where I attend to clients from all over Cape Town. I work with a wide range of people, from those seeking to lose weight to those with special medical needs. My interest has become more focussed, and I particularly loves working with people who want to lose weight, but can’t seem to keep it off because of the psychological clutter that they live in. To be well balanced we need to look at nutrition, exercise, stress (or quietness), as well as our emotions and thoughts. Finding the reasons behind why the binging and other unhealthy habits are around and how to change them is the key. I also lecture nutrition at various institutes; give talks at and for wellness days; write articles/snippets for papers and magazines; am an advisory dietician for several exercise and food based initiatives; consult for various companies; and served on the ADSA WC committee as Chairperson for 4 years. The booking with Kim was made after hours and she still managed to get back in a timely manner. I've been recommending her to all my friends since meeting with her for the first time. She listened attentively and patiently to my current eating habits, made practical and actionable suggestions for diet improvements so I could reach my goal and was just an all round great presence. I'm actually looking forward to going back and updating her on progress! Highly recomed* using her! Kim came across as very professional, patient with all my concerns and has a very pleasant manner. She demonstrated expertise in her field and offered suggestions that are feasible. She happily accommodated me at short notice. I have no doubt, whatsoever, recommending her services!